Share the post "Stay Fresh With These Grocery Tips"
Fresh doesn’t always mean fresh. Supermarkets work to keep their products viable for purchase as long as possible. That choice melon or cut of steak might be a bit older than you’d expect. If you want to know how to choose groceries or how to buy fresh produce, there are some grocery tips you need to know. Sure, the piles of apples in the produce section are generally safe for consumption, but if you want the most nutritious ingredients in your home-made, healthy meals, read on for some suggestions for how to select products while conquering your grocery shopping list. 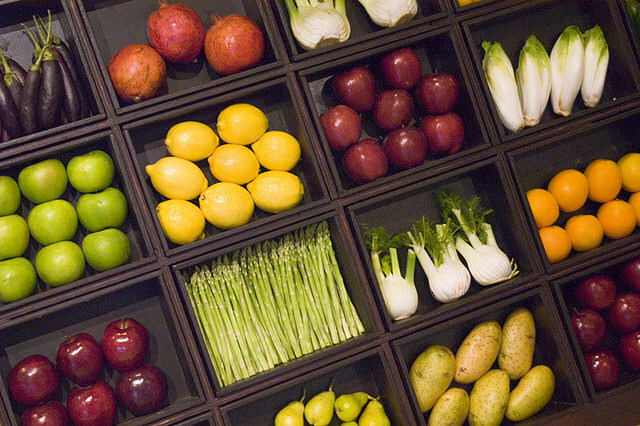 Most produce shipped for supermarket sales is picked before it is ripe. Plucking the fruit early can dramatically increase the survival time on shelves and in shipping trucks but it may not allow the fruit to fully develop many of the beneficial properties and delicious flavors that that fruit might otherwise contain. Produce is cooled and held in refrigeration soon after harvest. This slows deterioration, of course, but it also increases the time between harvest and consumption. Some warehouses use controlled atmospheres for storage and packaging, too. They lower oxygen and raise carbon dioxide in the storage areas to extend the life of the food. Often a more engineered approach is used, too. 1-methylcyclopropene is a chemical that blocks ripening and maturing in many fruits and vegetables. It keeps apples safe and looking good for longer periods of time, for example, but it also blocks some of the ripening process that sweetens those apples. This is part of the reason why apples picked off a tree often have a much sweeter and dynamic flavor. Some fruits can continue to ripen on the shelf. These include apples, kiwi, peaches, avocado, mango, bananas, nectarines, and pears. If possible, try to find these fruits from sources relatively close to your location so that you have more assurance that the fruit was picked when it was mature. These are fruits are okay purchases in a supermarket with a decent produce section since they can be harvested once the fruit is mature but before it is fully ripe. Produce you may want to be wary of in some supermarkets are berries (raspberry, strawberry, blackberry), cherries, citrus, grapes, pineapples, and pomegranate. These don’t ripen on the shelves in the same way as the produce above. This is why the best pineapple you’ll ever eat will be on the farm in Hawaii and seldom anywhere else. If at all possible, these should be purchased from local sources if you’re looking for the greatest nutritional benefit. There isn’t any harm in buying a shell of blueberries from the local grocer, but if you can find a farmer’s market in the area with fresh-picked berries, the difference in flavor alone will be noticeable. And the farmer’s market blueberries will have much more of the antioxidant benefits for which blueberries are so well known. It’s always a good idea to eat more fruits and vegetables, but consuming them at the right time in their ripening process will increase their benefits. Much of why our supermarket-culture doesn’t consume enough fresh fruits and fresh vegetables is likely because the produce we have easy-access to just doesn’t taste as delicious as it should. But fruits and vegetables aren’t the only thing to consider. Fresh cuts of meat, when stored correctly, can last a lot longer than you might expect. Beef can last well over a hundred days. When packaged and wrapped in those air-tight packs that are so common, often carbon dioxide and nitrogen are pumped into the bubble-like container to slow the growth of bacteria. Carbon monoxide keeps the meat redder, so often that is added as well. The carbon monoxide, at least, is banned in Australia. These storage practices can make meat look presentable long after bacteria quantities have grown to unsafe levels. So when considering how to select fresh meat, the most important grocery tip is to remember to always thoroughly cook all supermarket meats. Some supermarkets still house an on-site butcher that can give you quality, truly-fresh, cuts of meat, but that trend is growing more infrequent. Be safe with your meats, and avoid the rare-steak-recipes unless you are fully sure that the choice cut is genuinely fresh. When choosing meat, always make sure there is no break in the seal of the packaging. If the package uses cling-film over a dish-type container, the meat should not touch the film which can spread chemicals to the meat. Meat should never have a strong odor. 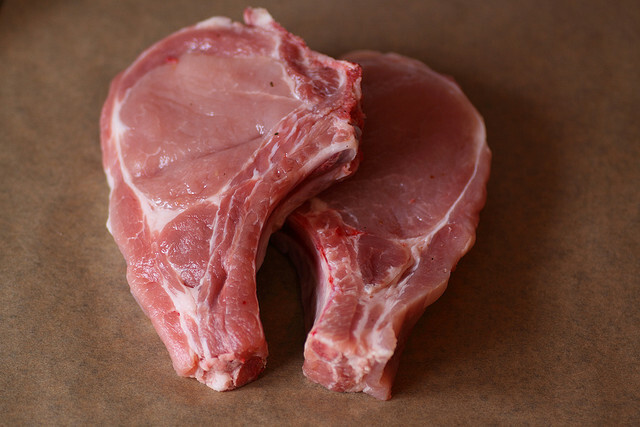 Foul smelling meat is a sure sign that the cut may be dangerous for consumption. Staying seasonal with produce is one of the best shopping tricks. Be flexible with your grocery shopping list and you’ll not only eat better tasting food, but the cost of in-season produce tends to be slightly lower, too. Use the powers of the internet to find what may be in season in your region of the world and take note while at the grocery to see what you can find. Everything you buy in season is likely to be just a little bit better in every way. While looking for seasonal foods, consider also looking for farm to table, community supported agriculture, or local slow-food groups. These organizations specialize in bringing knowledge and delicious food to people in the freshest and most direct ways possible. Many small farms have a service that delivers boxes of fresh, locally grown, often organic-certified harvests to convenient pick-up locations. This can be an absolutely fantastic way to support local food growers and increase the overall health of you and your family. 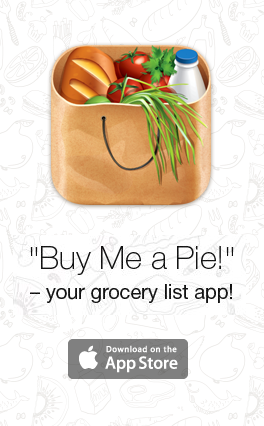 Plus, it can take a lot of the work out of creating your weekly grocery list. Visiting local farmers markets and ordering from producers directly is always the best way to get the freshest foods, but often those supermarket trips are all that time allows. But you can use what you learned here when you have to go to the supermarket.